Oh how do I love this color, let me count the ways: it’s exactly halfway between yellow and green, it has a citrus-like hue, it’s both cheery yet, moody, AND it’s named after alcohol. Could this so called “apple-green” color (more Granny Smith, than Washington or Fuji) get any better? The answer? YES. 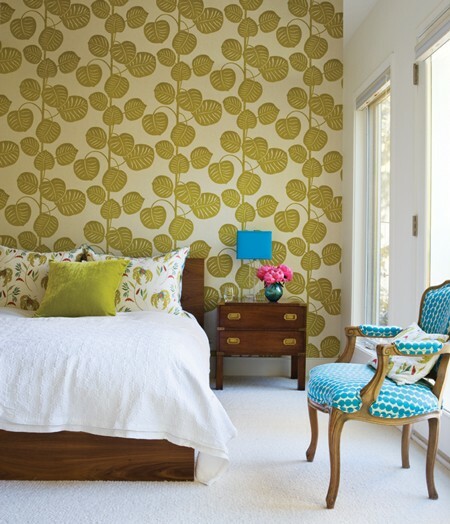 Bold chartreuse wallpaper pops against crisp white bedding and carpeting.Design consultant Alison Booth, owner of Booth Supply, reupholstered a chair from her grandmother in a bright polka-dot print and swapped white lampshades for matching blue ones. From Canadian House and Home, HERE. 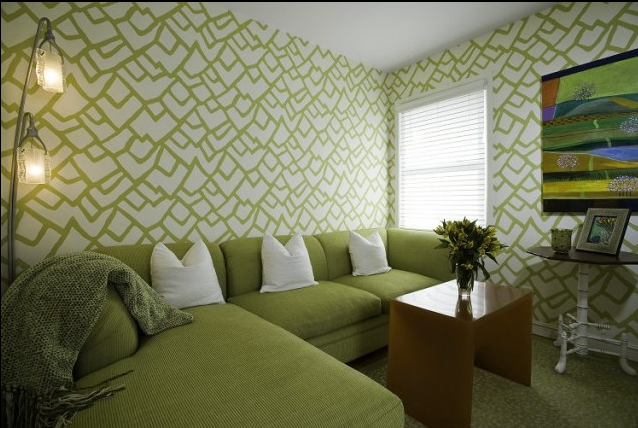 The shades in this seventies meets South Beach home are inspired by seaglass! Photographed by Ted Yarwood and designed by Timothy Mather. 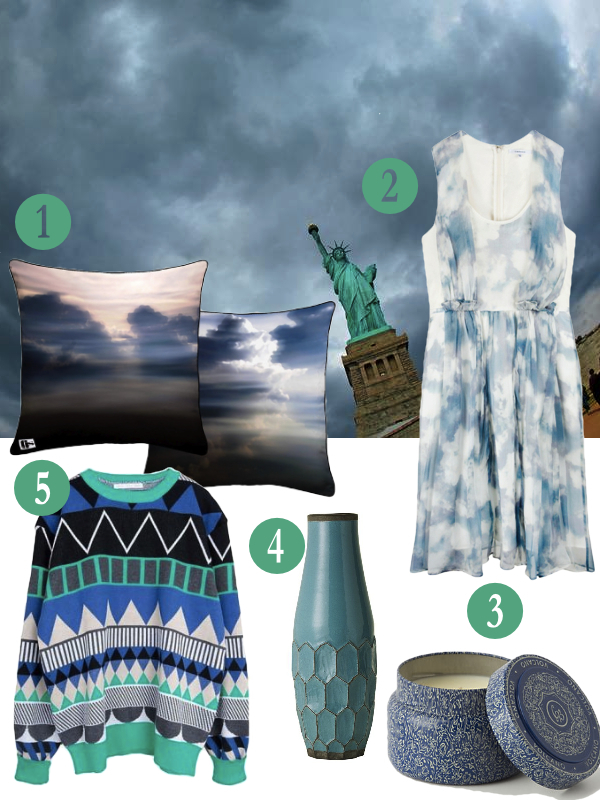 From Canadian House and Home, HERE. There were two French liqueurs, one referred to as yellow chartreuse (introduced in 1838), and the other as green chartreuse (introduced in 1764). Each type of the aforementioned liqueur was made by Roman Catholic monks in the Chartreuse mountain range in eastern France. That’s a lot of chartreuse terminology. So, are you following this transitive etymology? The monks were located in the mountains, the mountains were named Chartreuse, the monks named the liquid after the the mountains, the world named the color after the liquor, thus the color is named after the mountains. Side note: : Liqueurs are for nuts (hazelnuts, almonds), cordials are for fruit (lemon, orange, etc). 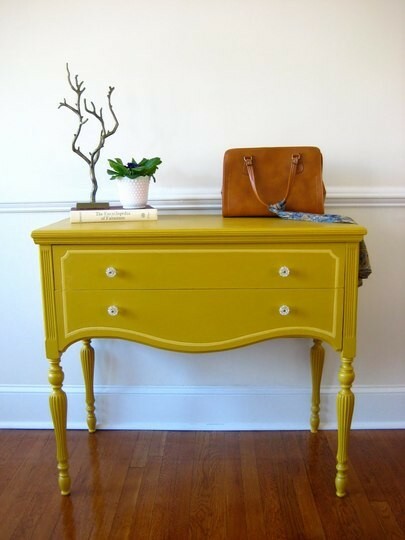 I am loving this restored entryway table. Check out the “second-coating, HERE. The original liquor formula is said to call for 130 herbs, flowers, and secret ingredients combined in a wine alcohol base meant to be a type of alchemical “elixir of long life”. The monks intended the recipe to be used as medicine, but with saffron coloring and 40% alcohol (80 proof), it is more likely to cause cirrhosis of the liver, then longevity. But, in moderation, the cocktails are phenomenal, and the color is even better. 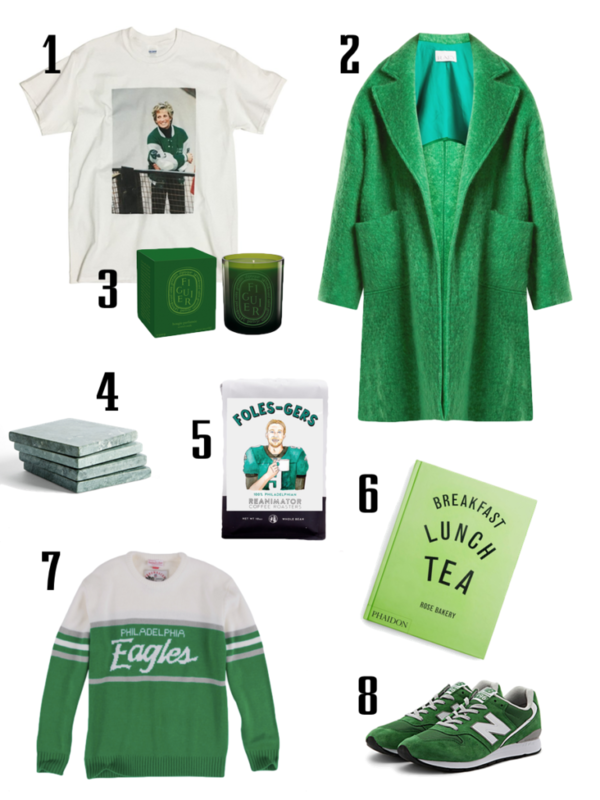 It is thought that the closest naturally occurring chartreuse-like color is that of the Anjou or Bartlett Pear, algae, lovebird, grass, or lime. Since its hue oscillates between yellow, green, and sometimes a warm olive green-brown it can also be used as a form of camouflage color. Room designed by Chelsea Aterlier Architect, PC. I love the interplay of materials: plastic, glossy surfaces, aluminum, glass, wood, steel, and lucite. It’s almost like an entire factory is mingling. 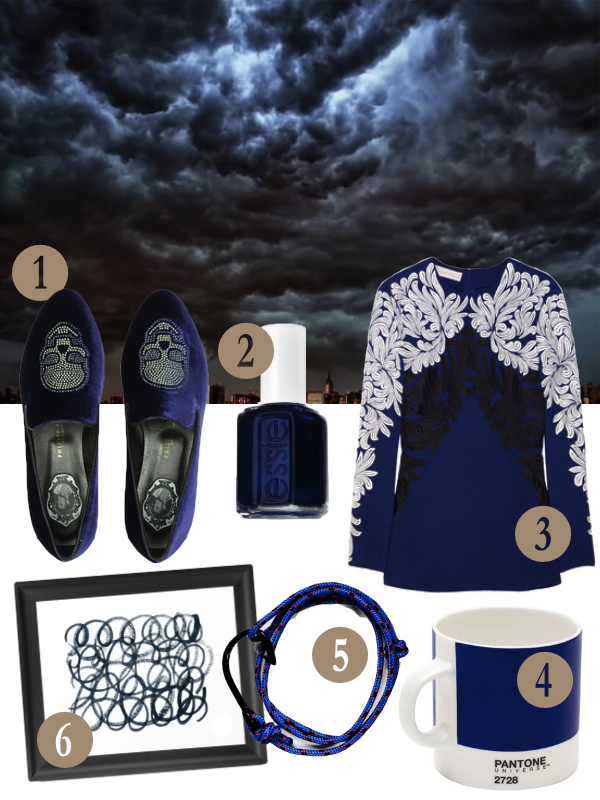 This damask and metallic space is a little ostentatious but also extremely luxe. Dining room designed by EJ Interiors, HERE. Must love birds. 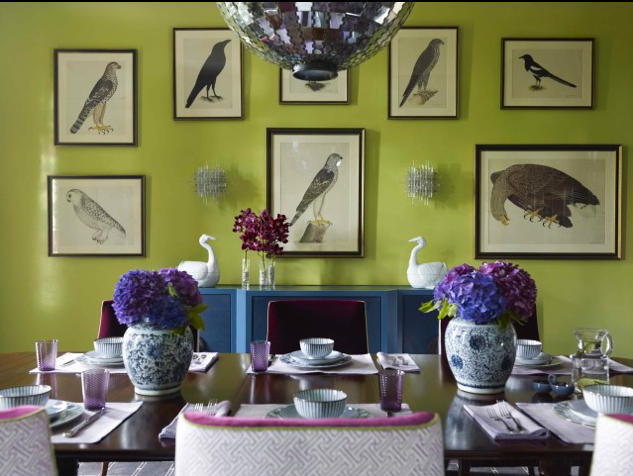 Chinoiserie meets high tea meets the ornithological society of America. Room designed by Katie Ridder Rooms. It’s like a zebra found its way into a paint can! 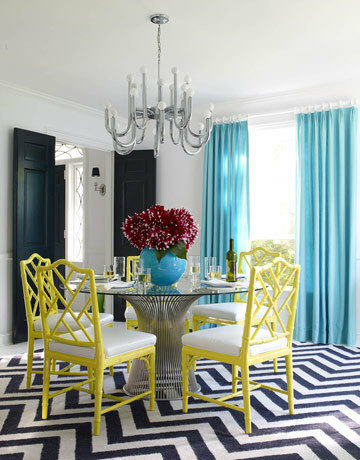 Dining room design via Cynthia Mason Interiors, HERE. Because the yellow-green is a naturally occuring tincture it plays well with other natural floral colors such as tangerine oranges, baby blues, salmon pinks, and various grapefruit shades. 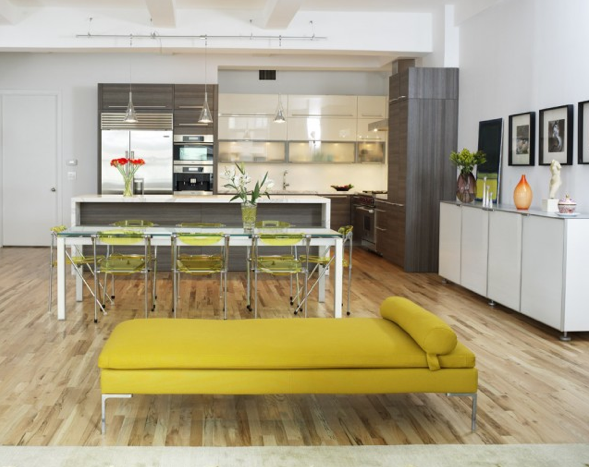 This small, modern, Chicago, ranch living room was designed by Interiors by Mary Susan, HERE. 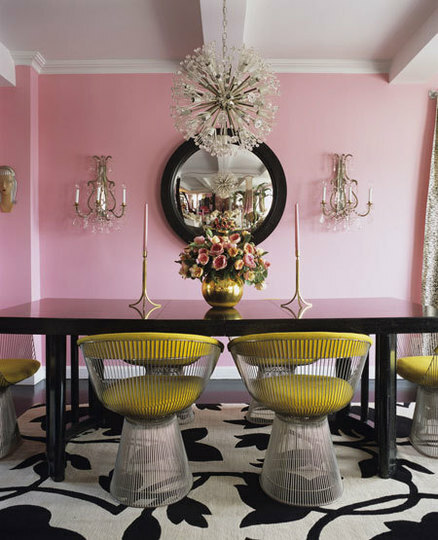 Warren Platner’s famous steel wire chairs for Knoll, here in Betsey Johnson’s dining room, found HERE. The sweeping silhouette of this table is reminiscent of the Tulip table designed by Eero Saarinen, one of Platner’s first bosses. 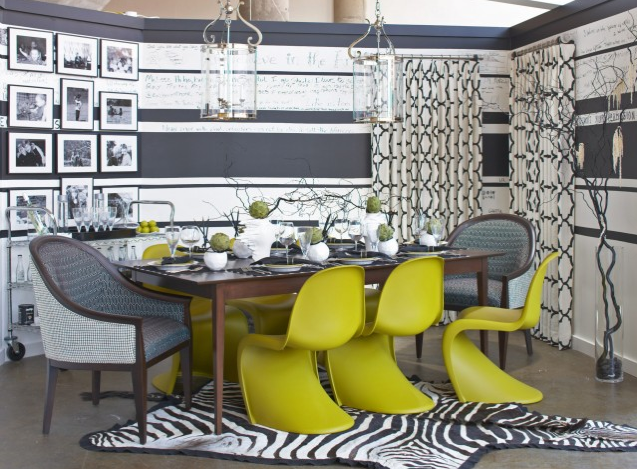 “Midcentury modernism resonates for me,” says Adler, who paired Warren Platner’s 1966 dining table from Design Within Reach with his own Chinese Chippendale chairs. The chandelier is from the 1970s. 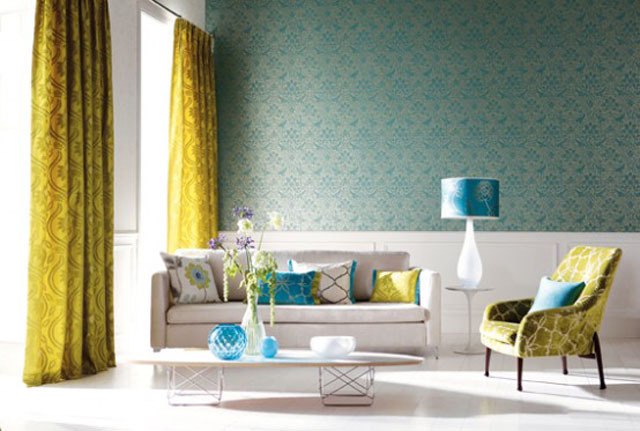 Curtains are Hinson’s Montauk Texture in Aegean, the same fabric used for the living room curtains and ottoman. 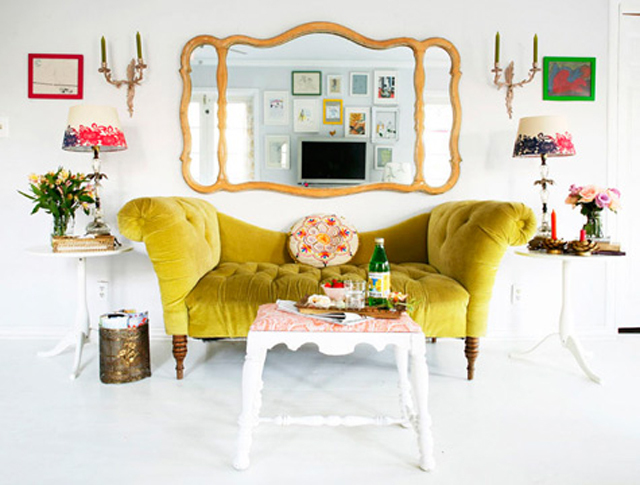 Image found HERE via House Beautiful. HOW CAN YOU LIVE IN A BOTTLE OF CHARTREUSE LIQUER?